This sign is for Bombay Fire and General Insurance. The sign’s colors are teal and white. 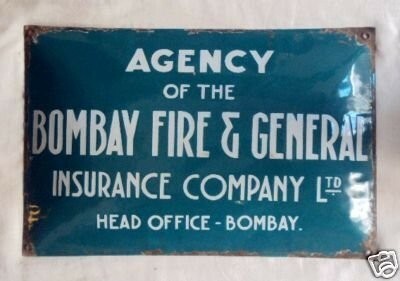 The text on the sign reads: Agency of the Bombay Fire & General Insurance Company LTD Head Office Hombay. The sign shows text.